In the previous post, we divided the probability items found in the last two Preparing-for-the-ACT Guides into three categories. In this post, we work those items. If you have questions or comments, shoot me an email at kshipley@36university.com. 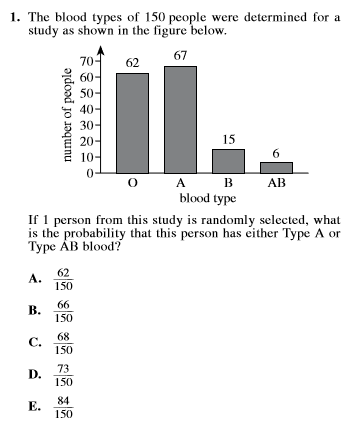 These items are provided to give you examples of the ways you can expect ACT to test probability. These are screenshots from the ACT’s booklets, not the property of 36 University. 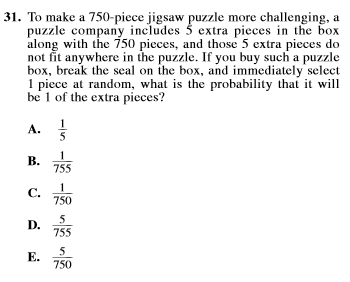 Step 1) Recognize there are now 755 pieces. Step 2) Of those 775 pieces, 5 are the new “extra” pieces. Step 2) Recognize we need a fraction that will reduce to 3/5, so the denominator has to reduce to 5. 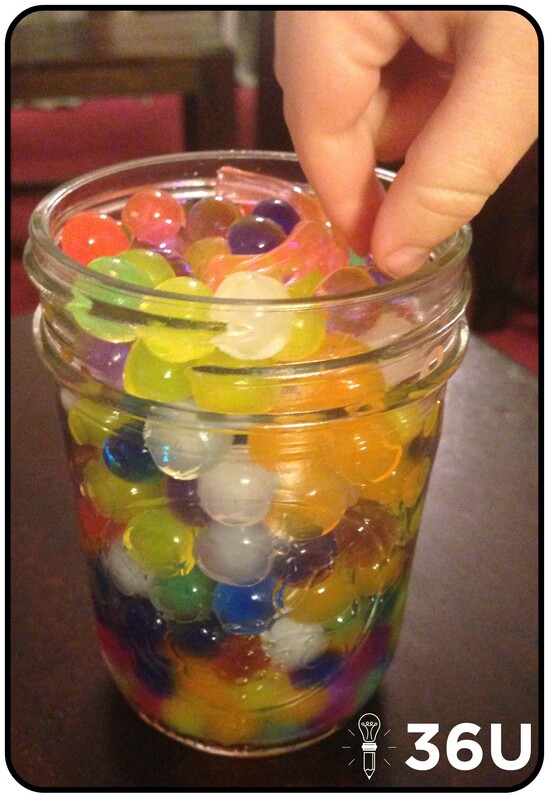 Step 3) Begin adding red marbles in increments so that the total number of red marbles is divisible by 3. 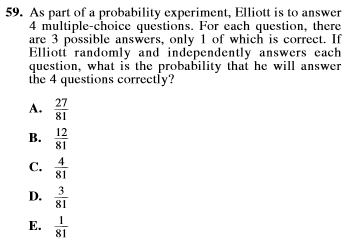 Step 1) They provide formula for odds. Odds = in the age range:not in the age range. 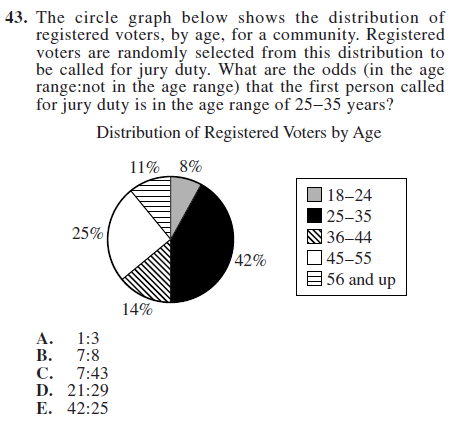 Step 2) Percentage of persons in 25-35 years range: 42% or 42 out of 100. 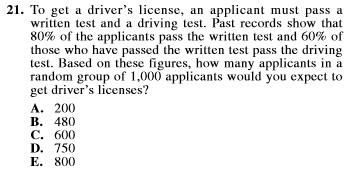 Step 3) If 42 out of 100 are in the age range, the other 58 must not be in the age range. Step 1: Chances of guessing a particular item correctly is 1/3, since there are three answer choices. We hope these solutions helped you work these items more efficiently! 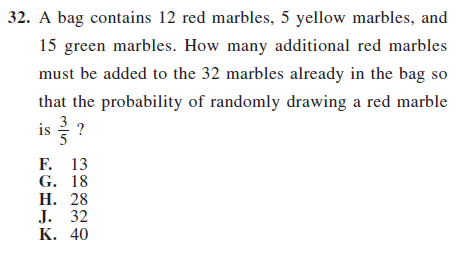 If you have an alternative, quicker method to solving any of these items, we’d love to see it.